State Library Victoria – Musicals double-bill screening. A Musicals double-bill tribute to the American musical, is the next program in the Music and Dance on Film series to be screened this Wednesday September 28 in Arts. 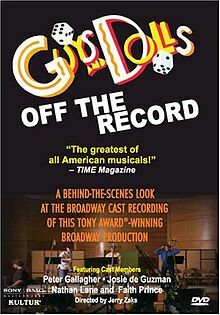 Guys and Dolls : Off the Record is a behind-the-scenes look at the Broadway cast recording of this Tony award-winning Broadway production. This recording features original cast members from the smash 1992 revival. Time Magazine has called Guys and Dolls – “the greatest of all American musicals”. This program captures all of the backstage energy, and stars Peter Gallagher, Josie de Guzman, Nathan Lane and Faith Prince preparing for their roles and singing some of the all-time favourite songs such as Sit Down, You’re Rockin’ the Boat, Luck be a Lady and Adelaide’s Lament. 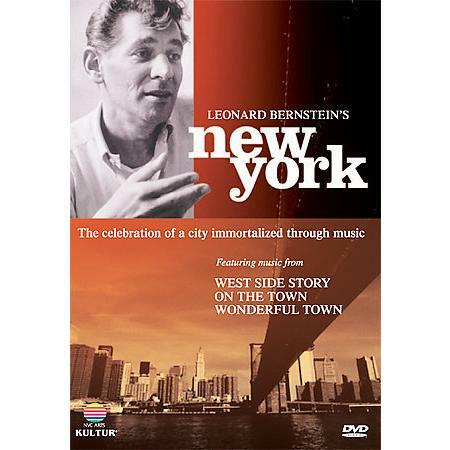 Leonard Bernstein’s New York is a celebration of a city immortalized through the music of perhaps its greatest musical personality. It features music from three shows by Leonard Bernstein that captured the mood of New York in the 1940s and 50s, West Side Story, On the Town, and Wonderful Town. It includes performances of many of the songs by some of New York’s finest vocalists. The program commences at 12.00 noon and concludes at 1.55 pm approx. It will be held in the Arts Listening-Viewing Room. Enter via the Arts Reading Room and Audio-Visual Centre (from Trescowthick Information Centre). Admission is free. No bookings required, but come early as seating is limited. Enjoy!